A bill seeking to amend the Public Procurement Act 2007 has passed third reading on the floor of the Senate. In a report presented by Sen. Joshua Dariye, the Senate advocates the use of local content in public procurement process as well as a 25 percent mobilisation fund for contractors, up from the current 15 percent given to them. Senator Dariye said that the Bill, when assented to, will amend certain relevant sections of the 2007 Procurement Act to favour local manufacturers and ensure speedy completion of projects. The Bill specifically seeks to amend section 15(1) of the Act by inserting additional clauses that would close the gap created by the Act. “Similarly, the issue of disposal which is an integral aspect of procurement has been aptly captured by the amendment in the new sub-clause 1(e). The committee has equally sustained the amendments of section 34(1,2) sought by the bill for the purpose of patronizing made in Nigeria goods: this will go a long way to encourage our Nigerian manufacturers. “The amendment proposed by the bill in section 35 is to review upwards the mobilization fee from 15 per cent to 25 per cent that may be paid to a supplier or contractor. This is aimed at enhancing timely completion of Procurement Processes at various phases”, he said. 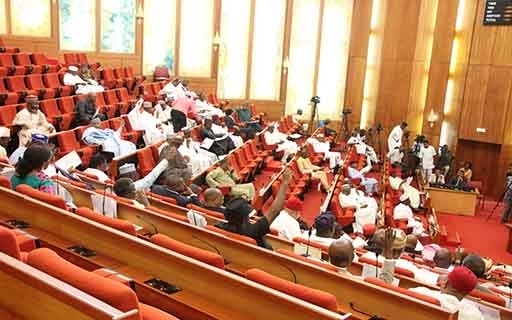 The Senate also approved the inclusion of Nigerian institute of Architects and the Nigerian Institute of Quantity Survey as members of the National Council on Public Procurement.